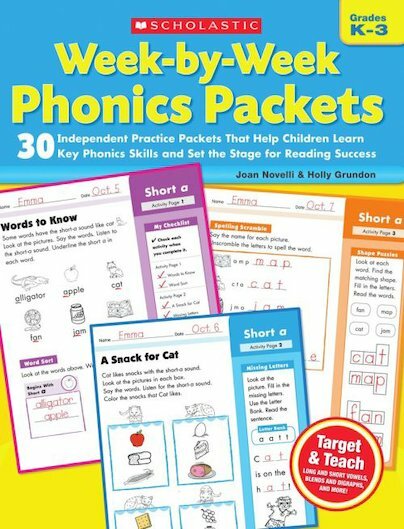 These easy-to-manage, ready-to-reproduce practice packets are a perfect way to target the phonics skills children need to master. Activities include word-shape recognition puzzles, fill-in rhymes, riddles, and stories, word searches, scrambled sentences, word sorts, and much more. Children can work through the packets independently and at their own pace. Perfect for in-class use or homework. An effective tool for supporting second-language learners and RTI instruction. For use with Grades K–3.